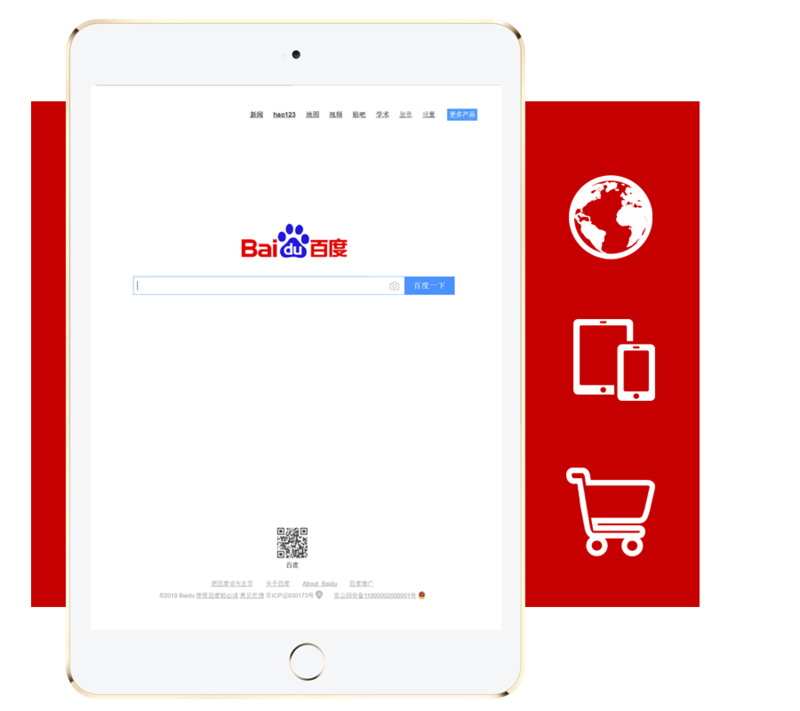 Baidu is China's premier search platform, and the world's second largest search engine with over 150 million daily active users relying on Baidu to discover services, products, brands and promotions. 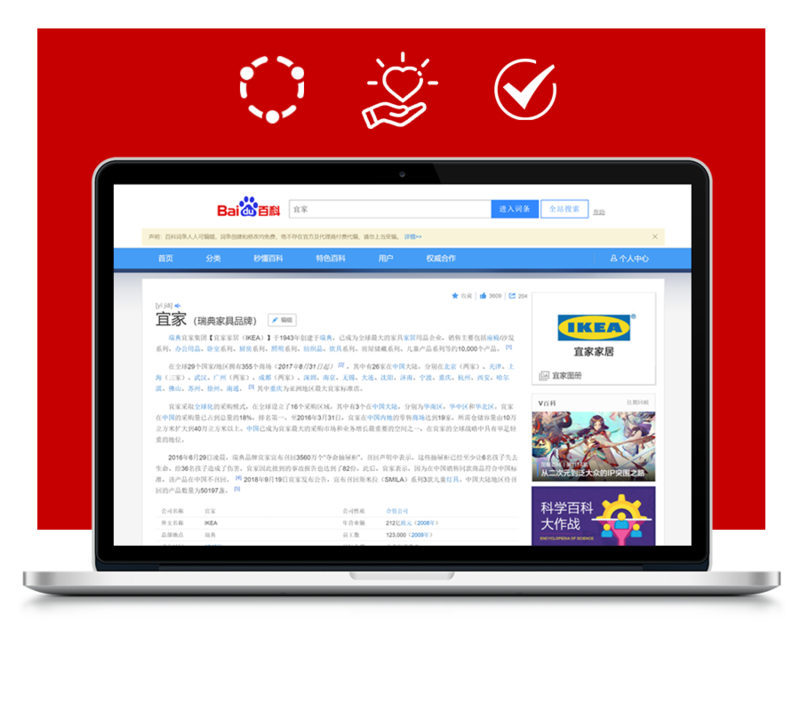 We help marketers plan and execute search engine marketing campaigns on Baidu. Our team of search specialists work to optimize reach and convert awareness into positive business action. Baidu Baike 百度百科 is an online Chinese encyclopedia designed for the country's netizens. Everyday, millions of Chinese consumers rely on the platform for their product and brand research. We help North American brands publish their Baidu Baike profile, working collaboratively with regulatory bodies and moderators.